Want to be the first to know when we launch our Galaxy S & Note smartphones, TVs or Home appliances? Sign up below to get the latest product info and exclusive offers, plus $50 off at our online shop (minimum spend $300*). Not valid with any other offer and not redeemable on smartphones. Which of these products do you own? * I understand that by signing up I will receive information about Samsung's latest product information and exclusive offers. Rest assured, we’ll keep all your information strictly confidential. You can opt-out at any time by clicking the unsubscribe button on emails you receive. 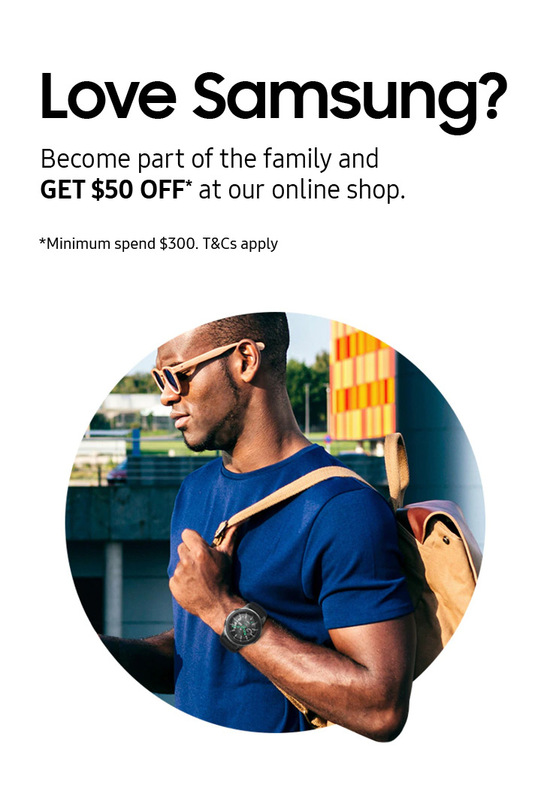 $50 off voucher is only redeemable at the Samsung New Zealand Online Shop only. Not valid with any other offer and not redeemable on smartphones.